Successfully Added Cross MP3 Player 1GB - Two Color LCD Display to your Shopping Cart. 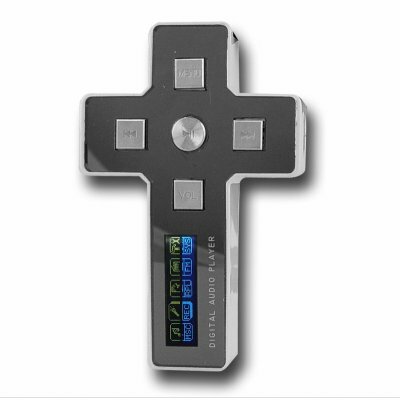 MP3 Player in the shape of a cross with 1GB of internal flash memory and a 2 color LCD Display for easy GUI navigation. A perfect MP3 for making a fashion statement, this PMP will get noticed whenever and wherever you take it. It also features a good quality built in speaker, multi language menu, FM Radio, built in MIC, and seven EQ Modes. Be original with your MP3 Player, and enjoy some great features at the same time with this no MOQ item direct from Chinavasion Wholesale.